When touring the aisles at this year’s show in Anaheim, I spied the Boogie Juice banner, and just had to stop in to check out what was going on. I met up with Edd Lancashire, the Managing Director of Boogie Juice, and he patiently explained what they have to offer. He slid me a tube to try out, and I found out that `what they have to offer is pretty cool! 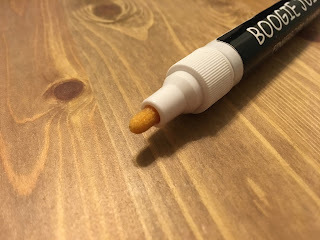 Boogie Juice is a cleaning and conditioning product for your fretboard (or fingerboard) that is packaged in a tidy pen-like device, and it is easy to use. 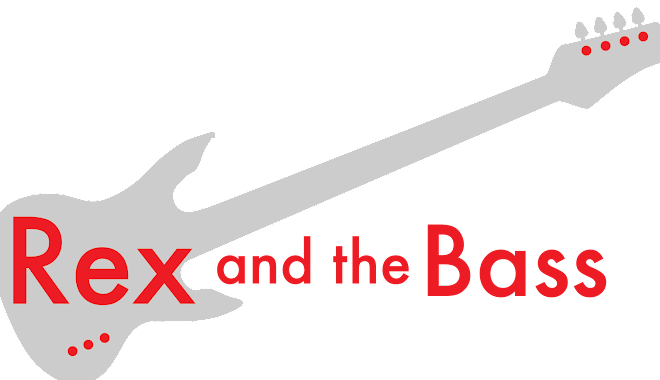 It contains all-natural ingredients, and there are no harsh chemicals that will dry out your fretboard or make you dizzy. What are the ingredients? This is not for us to know, and the recipe is patented, but as these are made in New Zealand the recipe probably includes local ingredients. And, by the aroma and the way the solution reacts with wood, I am pretty sure there is some sort of citrus oils in there somewhere. I found the nastiest fretboard in my shop, in this case it was the neck from a 1970s Aria model 1560 telecaster-style bass. The rosewood fretboard had a good build-up of funk and it was also dried out – sort of the best of both worlds. The Boogie Juice worked awesome, and it did not take a lot of work to get the wood looking good again – check out the video for yourself and see! 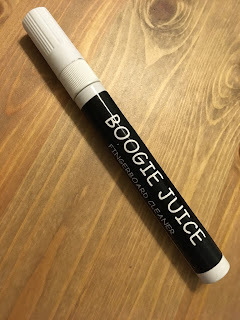 It is pretty easy to find Boogie Juice online or at brick and mortar music stores: I saw it on Reverb.com for 12 bucks a tube, and other places a bit cheaper. So, shop around a bit, and be sure to head on over to www.boogiejuice.co.nz for more details.